The Environmental Justice Atlas (www.ejatlas.org) of ICTA-UAB has reached 2.700 cases in January 2019. One of the most moving and cruel ones, perhaps a crucial conflict case for Latin America, is the recent breakdown of a tailings dam belonging to the Vale mining company in Brumadinho, Minas Gerais, Brazil on 25th January 2019. The EJAtlas provides a 1,500 words account of this conflict, and many sources. 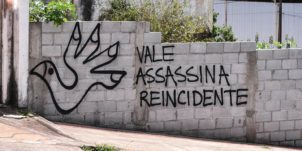 https://ejatlas.org/conflict/vale-tailingsdamfailure-brumadinho-minasgerais. The EJAtlas summary states: “In this foretold tragedy of the failure of the Vale company’s tailings dam on 25 January 2019 in Brumadinho, Minas Gerais, there were over 300 people killed, most of them employees of the iron ore exporting company who were working or having lunch in buildings downstream of the tottering dam. Vale killed its own people. The amount of tailings released was smaller than in the Samarco tragedy (in Mariana, also in Minas Gerais, in 2015) but the number of people directly killed has been much larger. It was indeed criminally irresponsible to have Vale employees working and eating daily downstream of the tailings dam. There had been numerous calls by civil society groups including MAB to definitively stop the Còrrego do Feijão mine, not to give any more concessions in the area, and to secure the dam against failure. Such calls were dismissed by the state administration and by the Vale company (which learnt nothing from the Samarco tragedy of 2015)”.